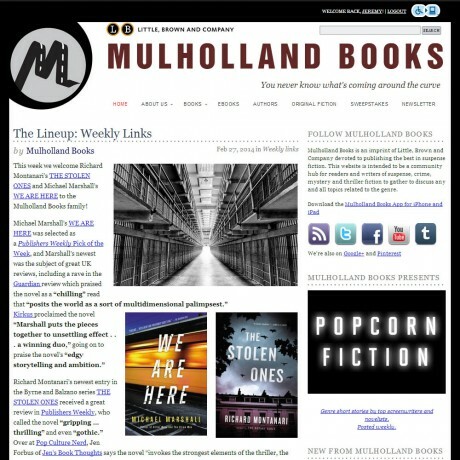 Mulholland Books, an imprint of Hachette, is designed from the ground up for WordPress by Clockpunk Studios. The initial launch of the site included gamification features to encourage reader participation and audience growth. Today, Mulholland Books is one of the foremost publishers of crime and noir fiction.